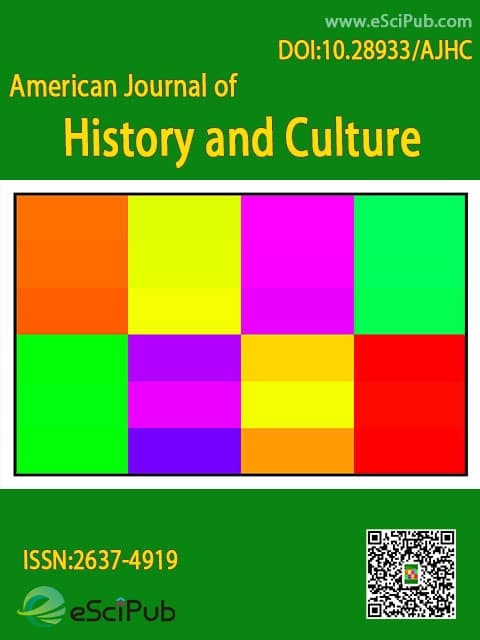 American Journal of History and Culture (ISSN:2637-4919; DOI:10.28933/AJHC) is a peer reviewed open access journal publishing articles in History and Culture. Prof. Dr. Singgih Tri Sulistiyono, M.Hum. University Archivist/Assistant Professor, Tuskegee University, Tuskegee, Alabama. American Journal of History and Culture is a peer reviewed open access journal publishing research manuscripts, review articles, editorials, letters to the editor in History and Culture (Indexing details). Please feel free to contact our rapid response team if you have any questions. Our customer representatives will answer your questions soon. Please submit your manuscript by the form below or send it to submit_manuscript@escipub.com (use "American Journal of History and Culture" as the email subject line).